Right now, my food cravings are pretty much only for the foods of my childhood. Mmm, (vegetarian) baloney and american cheese sandwiches with mustard, Gushers, Capri Sun, and string cheese. Oh goodness, string cheese! I remember when I first saw a string cheese commercial in the 90's and I thought that was an inspired idea and I had to have some. Twenty years later, I still put string cheese in my lunch (of course, it's the light version now). This is why I can't be a real vegan. Also fish sticks. Anyway, now that I am 26 27, I need more grown up ways to eat my childhood favorites. Here, now, is the homemade cheese roll or pizza roll (which is an ironic twist for string cheese since that commercial is all like "pizza without the pizza!"). Over at Gamers Northwest, we have a pretty awesome group of viewers. 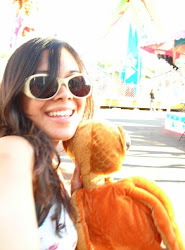 A lot of the same people will tune in for different games, and keep us company while we practice runs (in Caleb's case) or wander around aimlessly in Kingdom Hearts (more of a me thing). 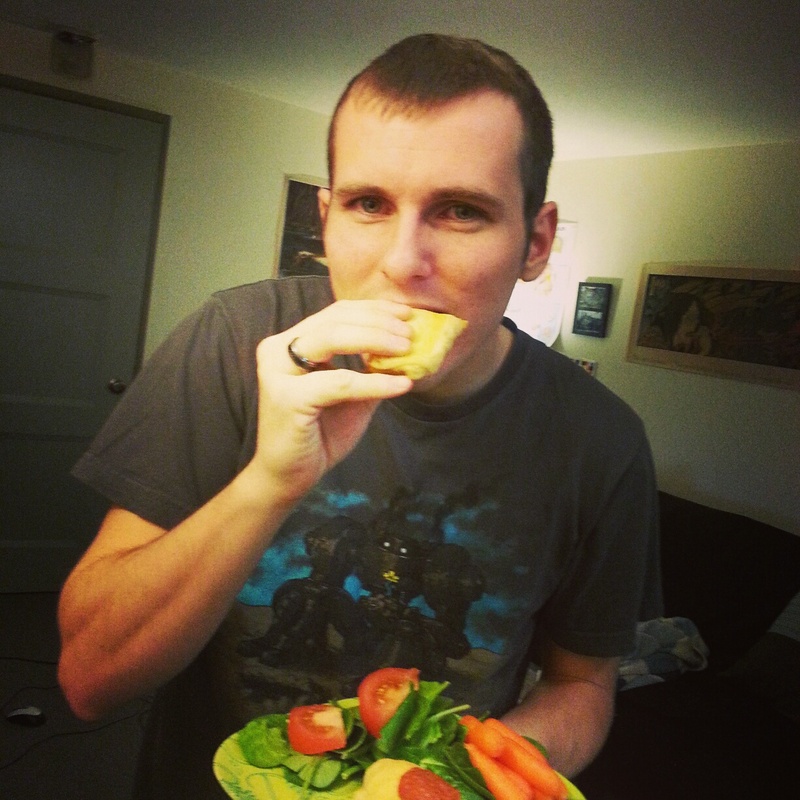 They are so amazing: sometimes they send us cool games to give away in our marathons, and sometimes they even send us recipes for delicious foods. Pre-heat your oven to 375º F. Cover a baking sheet with foil and lightly spray with cooking spray or sprinkle with olive oil. Cut each cheese stick in half to get 8 mini-string cheeses. Set aside. 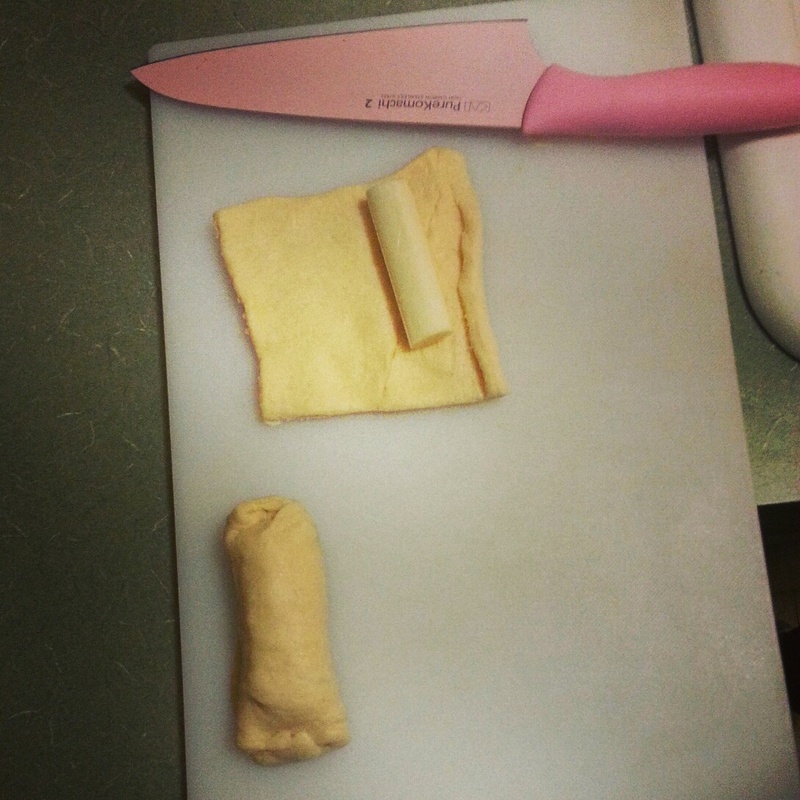 Roll out the Pillsbury dough and separate into rectangles. 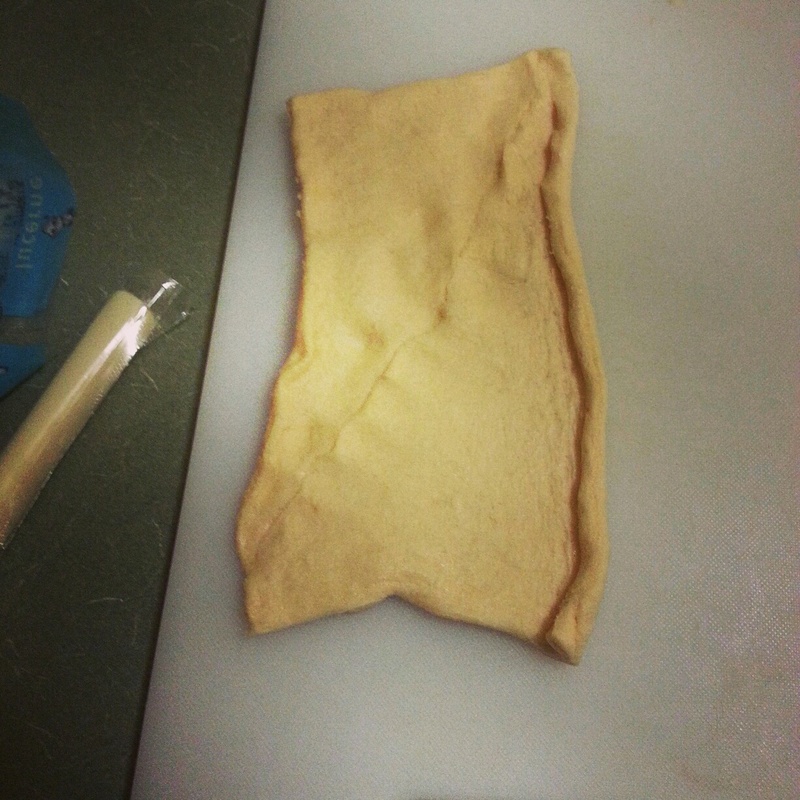 Pillsbury is usually rolled into rectangle sheets that are perforated into two right triangles. For this recipe, it helps to smoosh the perforated edges of the triangles together so that the rectangle sheet stays rectangular. Then cut the rectangles in half to get two squares per sheet. Lightly sprinkle Italian seasoning on each square. 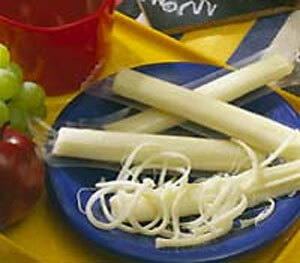 Roll each cheese stick in one sheet and cover the ends with dough to make sure the cheese is fully tucked in. Like adorable cheesy, buttery, piggies in blankets. As an option, you can also wrap pepperoni into the rolls. 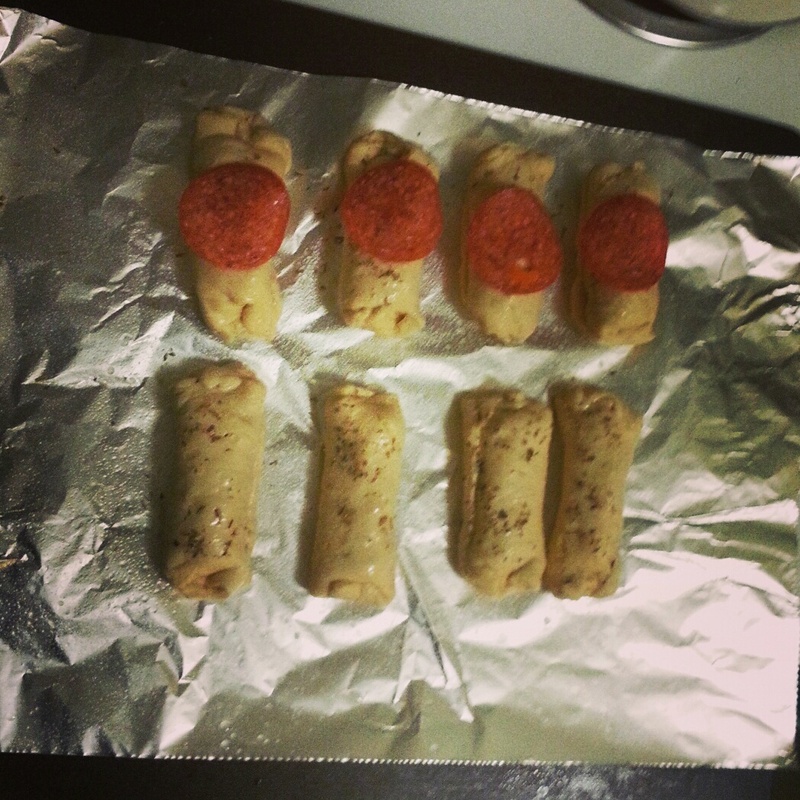 I wrapped three pepperoni around each cheese stick and then wrapped it all in the dough. Place each roll on the greased baking sheet. Sprinkle Italian seasoning on the top of each roll, then spray them with the cooking oil/ sprinkle olive oil on top. 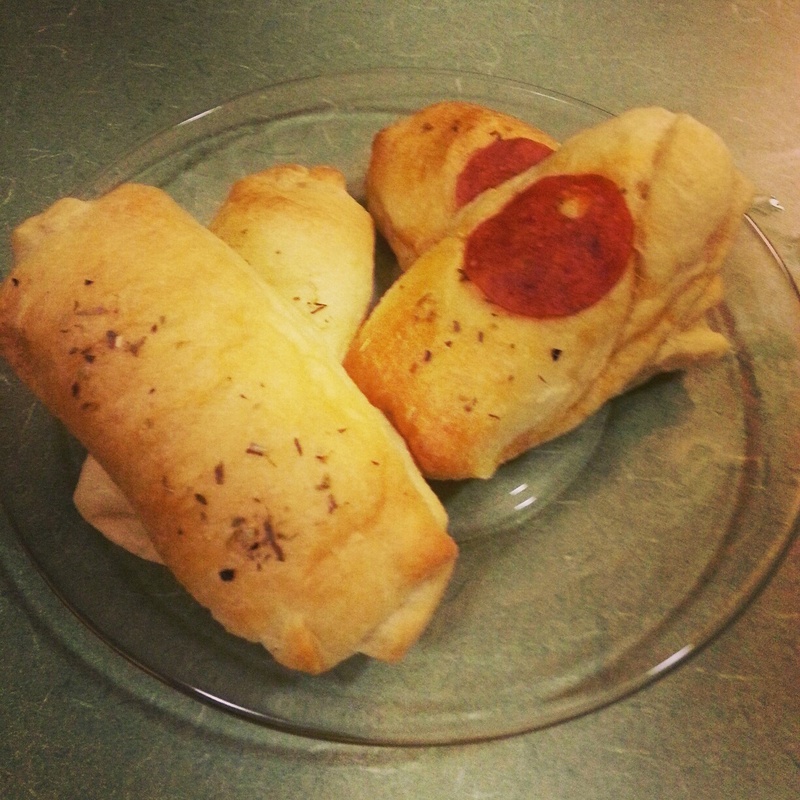 I also dressed each pepperoni stuffed roll with a pepperoni slice (so I could tell Caleb's rolls from my meat-free ones). Place the baking sheet in the middle rack of the oven. Bake for 10-15 minutes, or until golden brown. Remove from the oven and serve immediately with pizza sauce for dipping! This is definitely not a healthy food... I mean it's sticks of cheese inside buttery rolls. Absolutely delicious, but not healthy. For a healthier alternative, homemade dairy-free rolls could be an option, as well as dairy-free string cheese. But there is something to be said for a little indulgence every now and then. 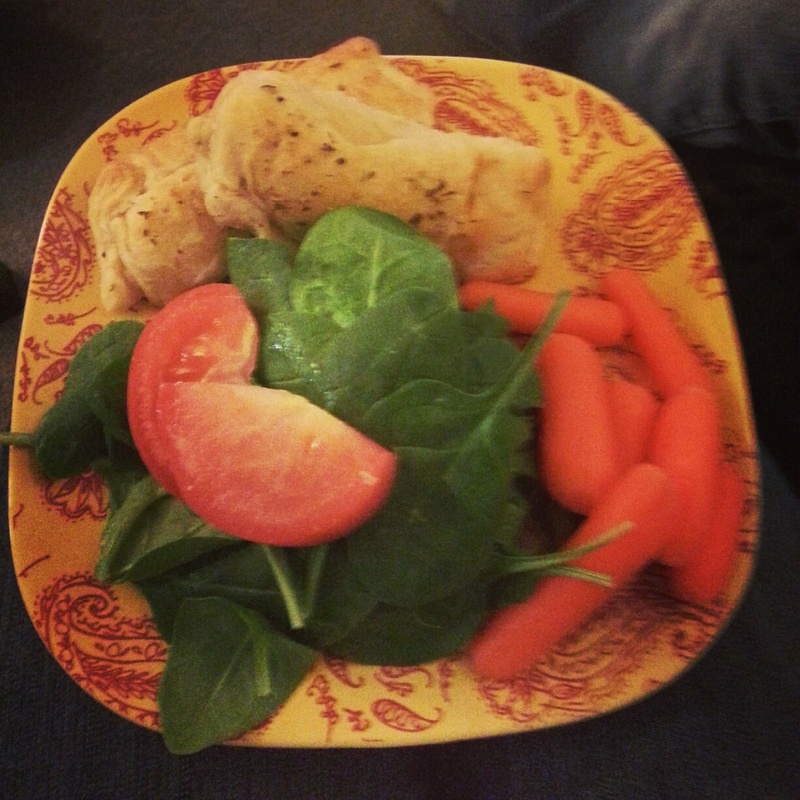 We also had salads with our cheese rolls!